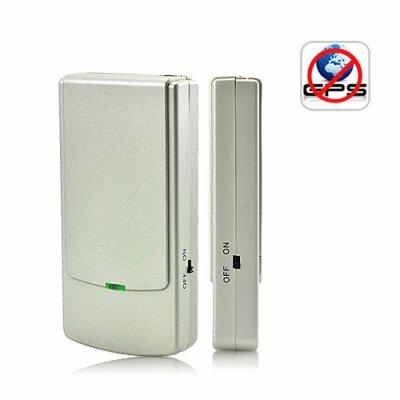 Successfully Added GPS Buster - Mini Wireless GPS L1 and L2 Signal Jammer to your Shopping Cart. Say hello to the GPS buster! This baby scrambles L1 and L2 GPS signals like a pro despite its small size. Perfect if you're worried someone has intentionally installed a GPS tracker somewhere in or under your car to track all your movements! It scrambles and jams any L1 or L2 GPS signal within a 10 meter radius. It's the perfect anti-surveillance gadget! Scenario A: You're going to see your girlfriend but you don't want your wife to know. Get in the car, turn on the GPS Buster and start driving. Your wife won't be able to track your movements and you can have fun at your girlfriend's house! Scenario B: You're a courier and you're supposed to be working picking up and dropping off packages. You get paid by the hour not the parcel. It's hot, you're bored. Why not turn on the GPS Buster and start driving? Where? You can have fun at your girlfriend's house! Scenario C: You're a police officer. Roaming the streets to keep it clean of criminals. But these guys the bad guys have bigger guns than you do. You don't get paid enough to take a bullet for The Man. So what do you do? You turn on your GPS buster so the Captain won't know where you're going and you go have fun at your girlfriend's house. Well-priced and well-built, this is the GPS Signal Jammer for you. It's designed to look like a normal cellphone so no one knows you're jamming them. In fact, you'll be jamming like Bob Marley! Brought to you by the online leader in GPS Trackers and Jammers - Chinavasion. it came to the US in 5 days. i have no idea if it works, as i do not have any GPS devices that i am aware of. because of a recent court ruling in the US, the Feds/Cops/Government do not need a warrant to place gps tracking devices on your car, if its parked in your driveway or out on the street, or towed. hah!! not my car.... gotta have this if your paranoid like me.